Almost as soon as I’d finished writing my last blog, I realised that I had already met the people I was sharing my albergue with. They were my train-buddy Benjamin’s Camino crew! 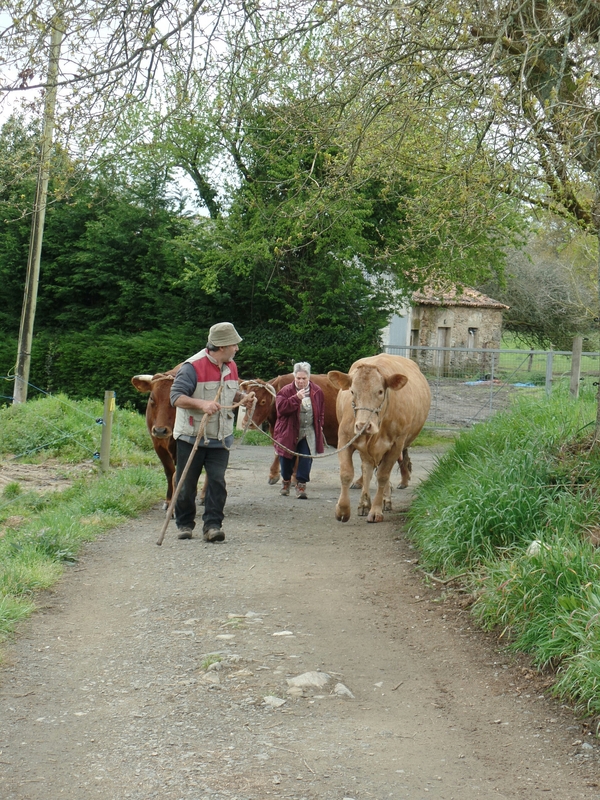 It turns out that just as I’d started speeding up, they’d opted for a more relaxed finish to the Camino. This meant I got to walk with them all the next morning. We set out from our albergue on a route which the lady at the albergue assured us was the ‘original Camino’ ‘easy to follow’ and ‘a short cut’. We followed her directions, and sure enough we soon found a sign pointing us on this alternative route. We walked along a path and across a field, only to find that the only discernable path led right back around the other side of the field and took us in the direction we’d already come. No one felt much like turning around, so instead we clambered over a wall because we saw something that looked vaguely like a path on the other side. It very quickly looked a lot less like a path and a lot more like a patch of gorse. Nonetheless we ploughed through, one of the girls enduring some serious scratches as she was wearing cropped trousers. All of us got a little closer to the Spanish flora than we really might have liked. Magically, however, after a five minute scramble through spikes we were reunited with the actual Camino, and the rest of the day passed fairly uneventfully in comparison. I left Benjamin’s crew at Palas de Rey, as I wanted to cover a few more kms and ended up in a tiny (and pretty cramped) albergue in Casanova. Today I walked with Sybren (friend from the bonkers veggie albergue) and we covered some good ground. 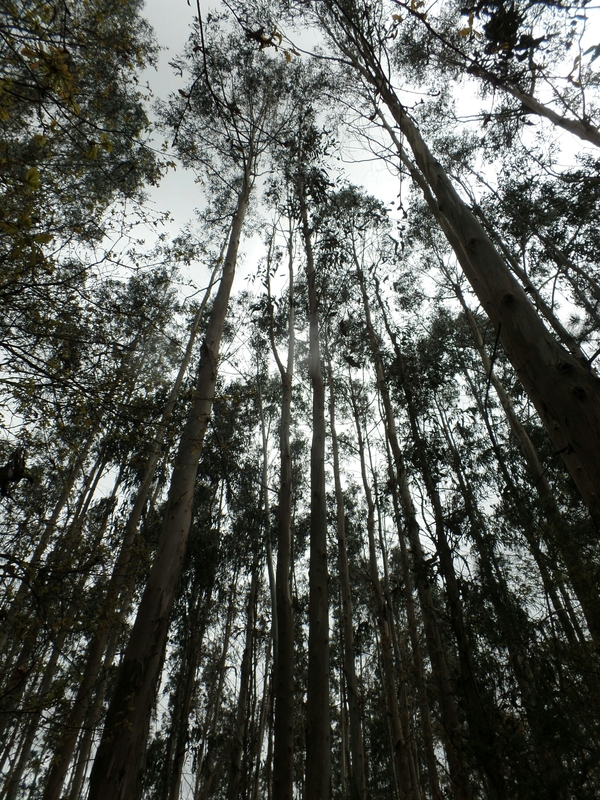 There are weirdly lots of eucalyptus trees in this part of Galicia, apparently planted for the paper industry. For the most part, however, this area remains full of traditional farming communities, with chickens squawcking all over country lanes, and even the odd cow (complete with bell) going for a walk. I now have just 38kms to go, so a little less than a marathon lies between me and Santiago! The plan is to cover a big chunk of that tomorrow, to arrive in Santiago fairly bright and fairly early on Monday morning.